Chinese New Year is around the corner and this means that it is times for Mommy Jane to shop for new clothes, new shoes, new kitchenware, new sofa and many more. To shop in a more convenient way and cost savings, Mommy Jane will always go to ezbuy.my to get my items. Recently, ezbuy has introduced two giant e-commerce sites into their long list of e-commerce partners where we can shop for JD.com & Mogujie.com and selected taobao sellers products directly from ezbuy.my. 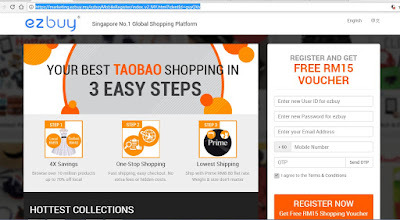 A very good news to online shoppers like me to get everything through just 1 website. JD.com is a leading e-commerce site in China selling popular household items and electronics device including audio, video products and books. It also offers online sales of home appliances, digital communications, computers, home merchandise, apparel and others. 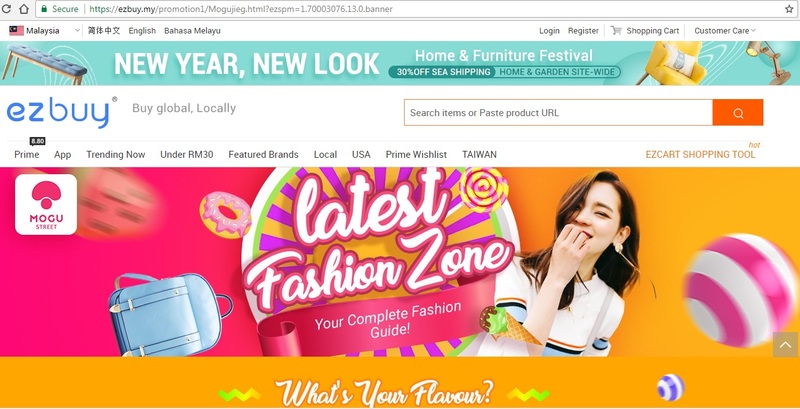 Mogujie.com is a chinese social shopping platform specialised on the current beauty and fashion. 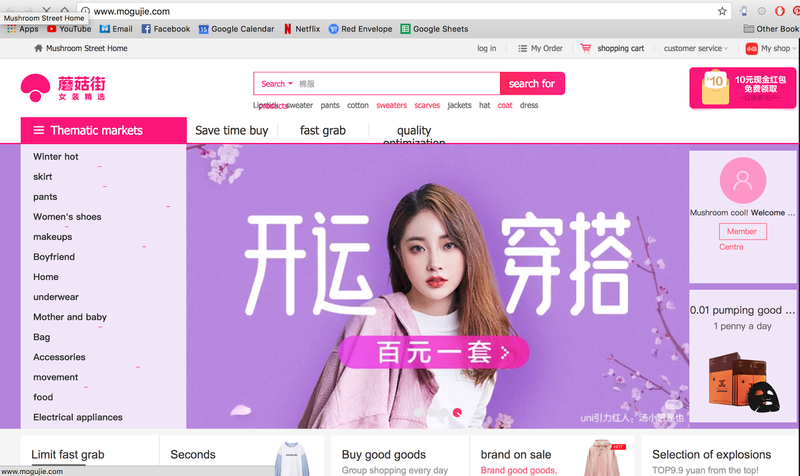 At this moment, Mogujie is the second most influential online female fashion community in China focused on young female consumers. Women have the chance to exchange experience, ideas, deals and fashion information everyday through this e-commerce social platform. Besides that, we could purchase selected taobao sellers products from ezbuy.my too. 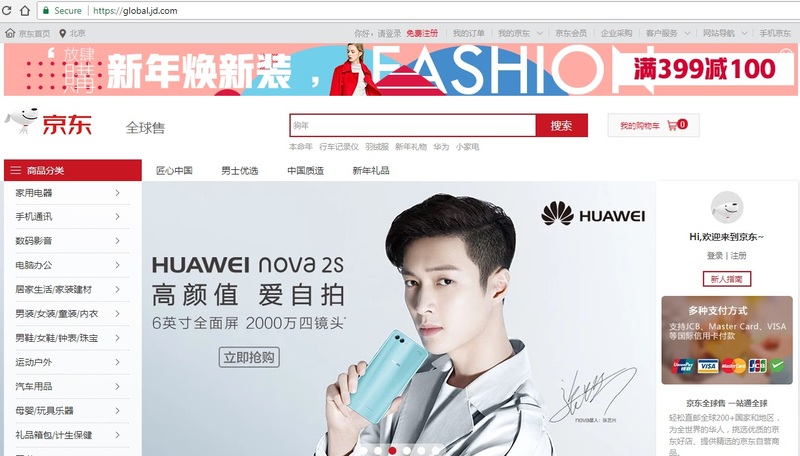 Some of you might ask me why we need to shop from JD.com, Mogujie.com and selected taobao sellers products directly through ezbuy.my. Since I am a banana (means don't know how to read Chinese even though I am a Chinese. Ha ha ha...), I had difficulty buying from any website that communicates in mandarin. With ezbuy.my, I just have to copy and paste the link, submit my order preference or notes to sellers in English and the staff will help me to translate and convey to the sellers. My second reason is because I could choose from a larger variety of items from different retailers at ezbuy.my. There are retailers from local, USA, Korea, Taiwan and China at ezbuy website. This means that we are exposed to a much larger product base where we sometimes could not find it locally. Thirdly, I could enjoy a flat shipping rate of only RM8.80 only irregardless of the total weight. With a subscription fee of only RM18.80 for 5 days Prime or RM188 for 1 year Prime (RM15.67 per month), I could ship any amount of items over back to Malaysia at only RM8.80 which is the lowest shipping fee in Malaysia. 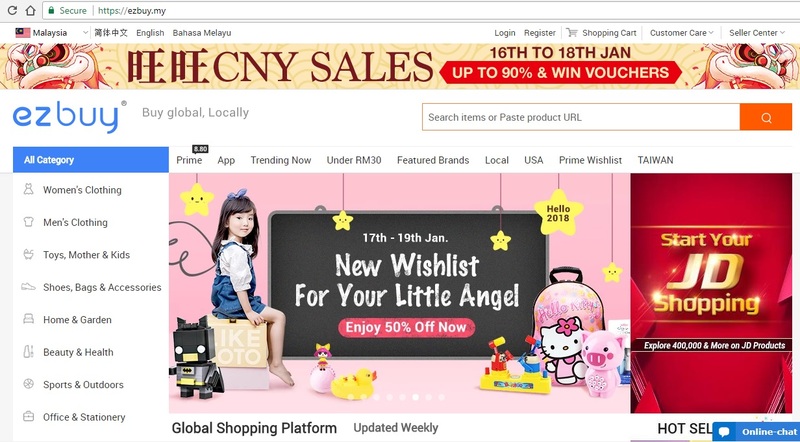 Definitely a good deal for avid online shoppers like me who loves to shop online for items internationally. With the top 3 reasons provided by me above, I'm sure all of you agreed with me that shopping through ezbuy.my now is indeed convenient and we could save more money too with variety of choices given. Register for a free account at HERE, you're entitled to a RM15 cash off voucher along with a 15% shipping fee discount (automatically upon registration). Besides that for every successful registration for this campaign, you stands a chance to win RM500 cash voucher. (Winners will be notified via email that were registered to ezbuy.my. 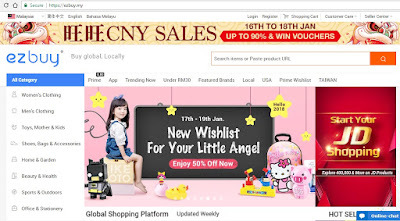 For more information, do visit their website at www.ezbuy.my and their facebook page at www.facebook.com/ezbuy.Malaysia. Register your account at ezbuy.my now to start your shopping experience at different countries and different website, all through ezbuy.my for the sake of convenient and for us to save more especially on the shipping fee. With ezbuy.my, I can rest assure that my items will arrived safely and on time for my Chinese New Year celebration. Woahhh ... i don't know how to read mandarin too and love shopping. This will makw my bank go empty lol. Pija, ha ha ha... They do translate it to English too from ezbuy.com so that we know what we're buying. Bahaya nie. I try to shy away from all shopping portals but it seems that they keep on mushrooming. Rawlins, sure good coz' it is guarantee by ezbuy.com. If it is not good, you can complaint to them. Owh! another shopping option. Kind of good buy here. 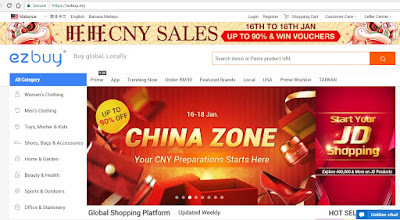 Cindyrina, save the hussle and transportation charges and the most important is, if we get from ezbuy.com, we won't have any problem in Mandarin. So many things that I want to buy, actually. I can't shop for CNY but I will wait for ang pow collection then only can shop! Will use EZbuy as it is a life saver for banana like me! never reduce your buying but increasing your earning. Omg i am controling myself to shop as I just recently max my card due to stress hahaha. But hey, this shopping site offers cool items and hard to decline discounts. This is a great portal for those who can't read mandarin. They have some really good and cheap stuff.